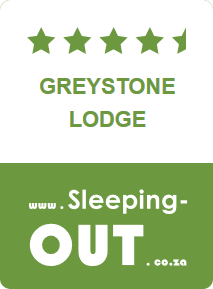 The accommodation at Greystone Lodge consists of one, two, three and four-bedroom self-contained chalets, and a two spacious two-bedroom two-bathroom apartments with full kitchen, lounge and private balcony in the main lodge. 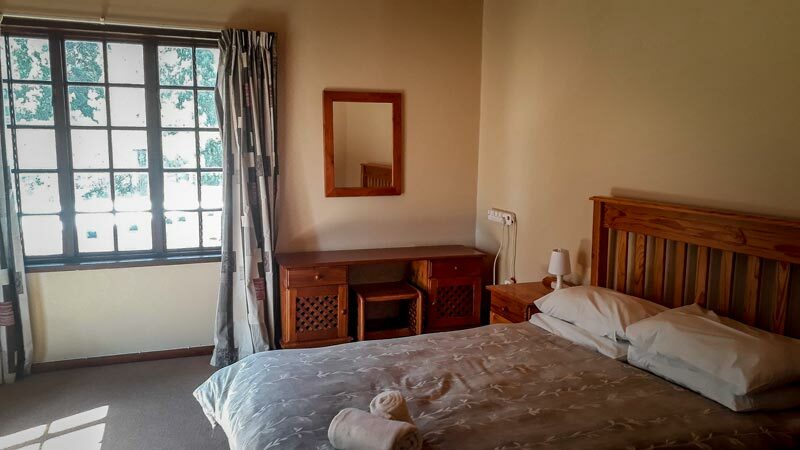 All have extensive views over the property and Dam, are fully equipped for self-catering and are complete with bedding and towels, kitchen equipment, crockery and cutlery. A conference centre / function room and Lapa can also be booked by the day for groups or private parties. The chalets and apartments are available on a Self-Catering or Bed & Breakfast basis. Guests wishing to take all meals at the Lodge may do so, but prior booking for breakfast and dinner is essential. Each of the chalets has a fully-equipped kitchen / lounge / dining room, with a real log fire and quality furnishings. Bedrooms are all furnished to an equally high standard and are complete with bed linens and towels. Every chalet has its own gardens, deck and outdoor braai, for which firewood is provided free. Main lodge apartments have a private balcony and gas-conversion fireplace, a large lounge and a separate, fully-equipped kitchen. We offer a daily service around 10am which includes dish washing, resetting fireplaces and bed making for a small fee of R50 per service. Please request additional service at reception. Our one-bedroom timber-built chalets are designed for two persons and consist of an open-plan lounge / kitchen with a log fireplace, furnished to a high standard. 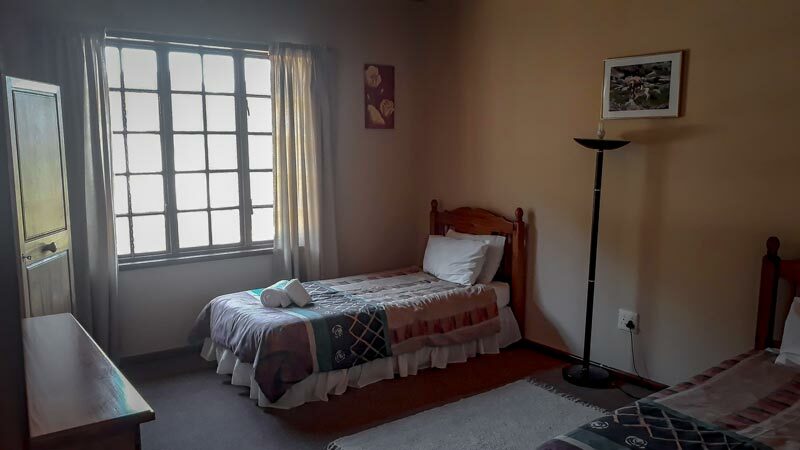 The double bedroom has an en-suite shower and there are a table and chairs on the deck outside overlooking a small garden, braai area and private parking. The two-bedroom chalets, designed for four persons, consist of an open-plan lounge/kitchen furnished to a high standard and again a log fireplace is standard. 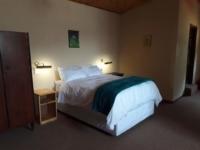 Each chalet has a master bedroom with a double and the second room has twin beds. 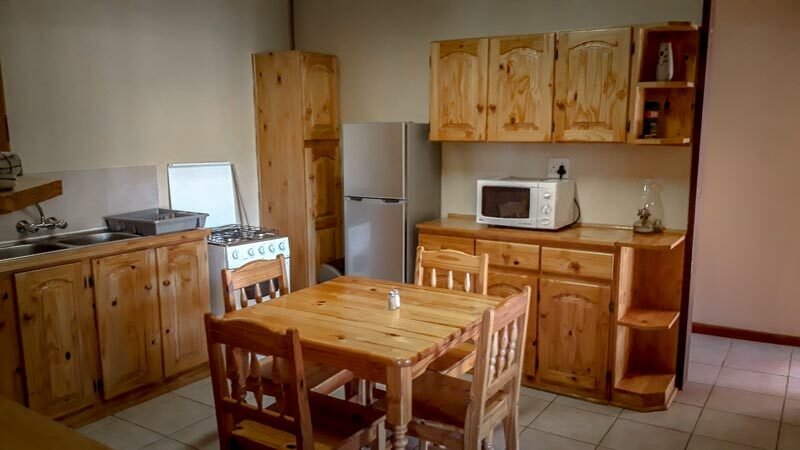 A table and chairs on the veranda outside the chalet overlook a garden, braai area and private parking. 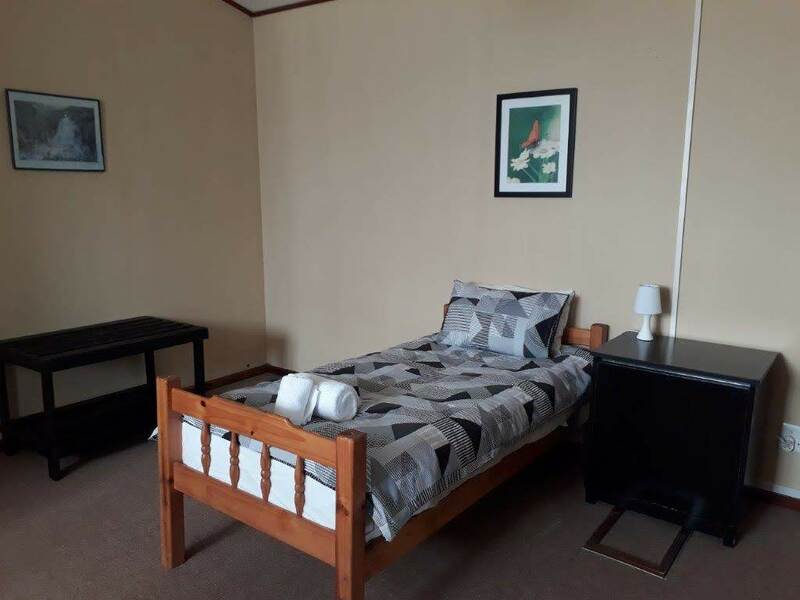 Our three-bedroom chalet is designed for six persons and consists of one large family room which has one double bed with en-suite bathroom, the other two rooms have twin beds and share a bathroom with a shower. The open-plan lounge / dining area / kitchen is particularly spacious with a log fire and large sofa seating, again furnished to a very high standard. Tables and chairs are set on the deck which runs the whole width of the front of the chalet to give plenty of space for entertaining. The deck offers open views across the dam, with a private braai area immediately in front. 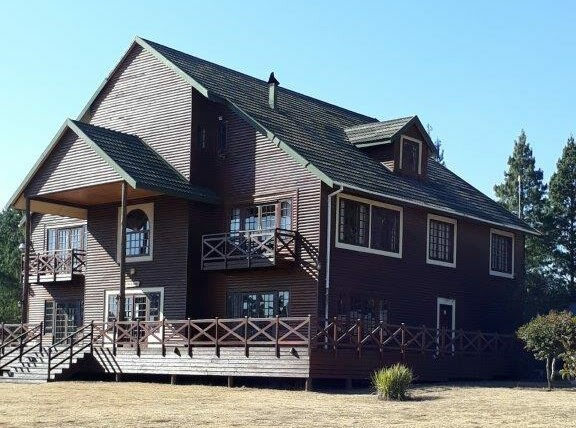 Our four-bedroom chalet is designed for eight persons and consists of two rooms with double beds and two rooms with twin beds. 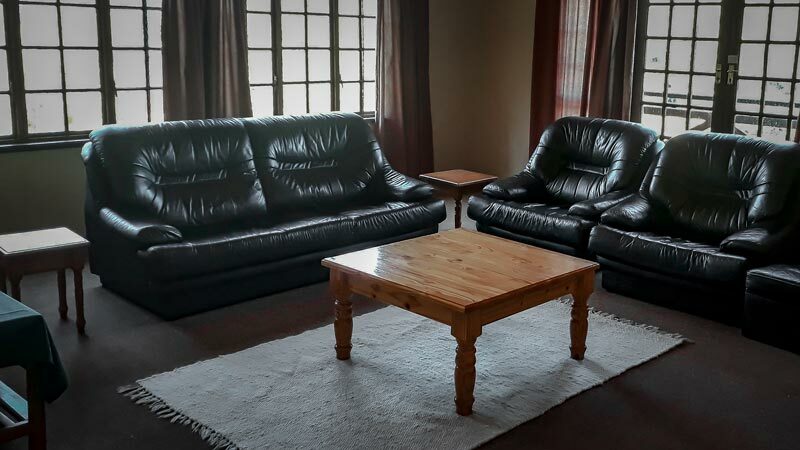 There is also a sleeper couch in the lounge for 2 extra people. The chalet has 2 bathrooms. One bathroom is designed specifically around our paraplegic guests with grab rails and raised bath. The chalet has ramps that access all entrances. The open-plan lounge / dining area / kitchen is particularly spacious with a log fire and our antique furniture. A large deck overlooks the dam, with a private braai area. The apartment is situated on the 1st floor of the main lodge building. The unit has a large lounge and kitchen with a gas fireplace. 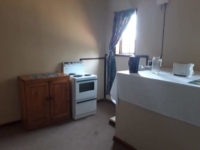 The unit has two bedrooms, one room has twin singles and the other has a double with en-suite bathroom with a bath. The other bedroom can utilise the bathroom with shower down the passage. The unit has a small balcony overlooking the property and the dam. 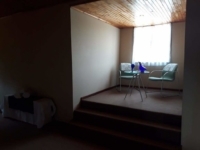 You are welcome to bring your skottel braai to braai on your balcony otherwise you are welcome to use the function room downstairs if you would like to braai. The unit has a TV with full DStv. Parking is available in front of the main lodge building. No pets allowed in the main lodge. The loft is situated on the 2nd floor of the main lodge building. The unit has two sections being split by the communal library. 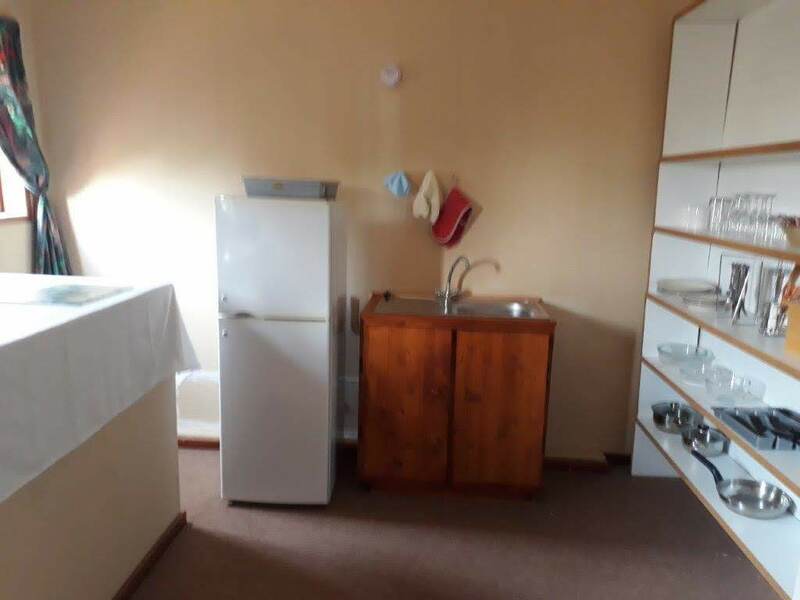 The unit has two bedrooms, one room has a double bed with en-suite bathroom and the other room has a single and small dining area. The kitchen is accessed through the 2nd bedroom. You are welcome to use the function room downstairs if you would like to braai. 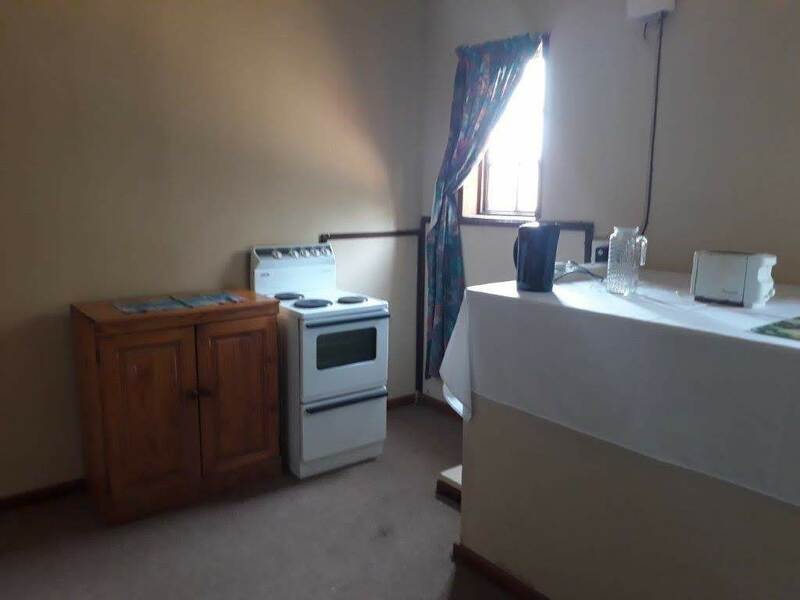 The unit has a TV with full DStv in the main bedroom. Parking is available in front of the main lodge building. No pets allowed in the main lodge.